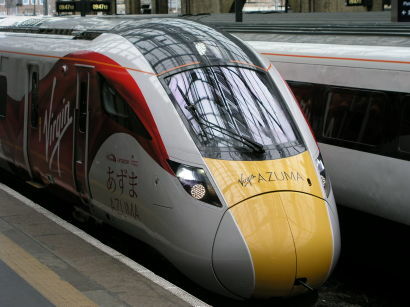 THE new Hitachi Intercity Express ‘Azuma’ trains destined for the East Coast Main Line could be causing greater problems than have been reported so far, according to industry sources. The new fleets of electric and bi mode trains are the most ‘noisy’ trains encountered for many years, according to internal Network Rail messages. The word means electrically noisy rather than loud, and the result is that other electronic devices are seriously affected by stray frequencies emitted from the trains. According to documents seen by Railnews, these include not only signals but other equipment, such as axle counters and even CCTV. The problems may not be confined to the section between Edinburgh and York either, sources say, pointing out that problems have been reported in this area because that it is where testing has been mainly carried out. Suggestions in the media that trains would have to revert to diesel north of York may also be wide of the mark, because only 23 of the 65-strong fleet will be bi mode, which means the other 42 could not ‘revert’ to any alternative power. Both Network Rail and Hitachi say they are working to overcome the problems, which threaten the planned introduction of Azumas in December. Hitachi said: “There are a number of 30-year old signalling systems on the East Coast line which require modifying to operate with modern electric trains – which has been confirmed by an independent report. “Network Rail is planning to carry out this modification work before the Azuma trains enter into passenger service. This is the same issue encountered 15 years ago when the Pendolino was introduced on the West Coast Main Line.